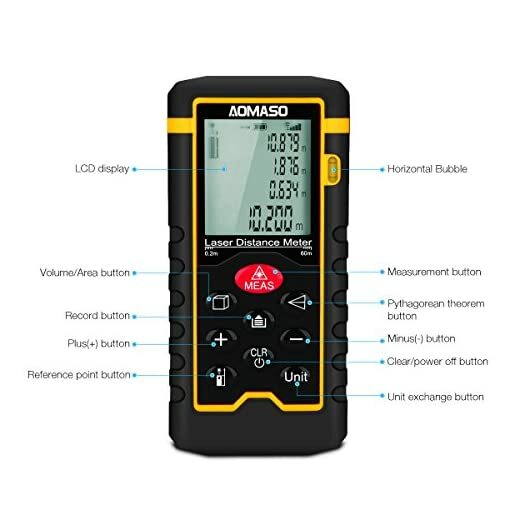 The Aomaso Laser Measure is a great choice for Architects that visit site sporadically. 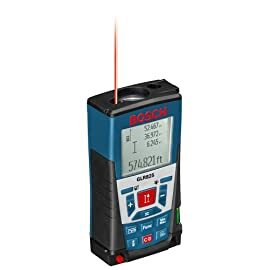 With an accuracy of 1/16 inches (1.5 mm), you get the accuracy of the high end gadgets for a portion of the price. 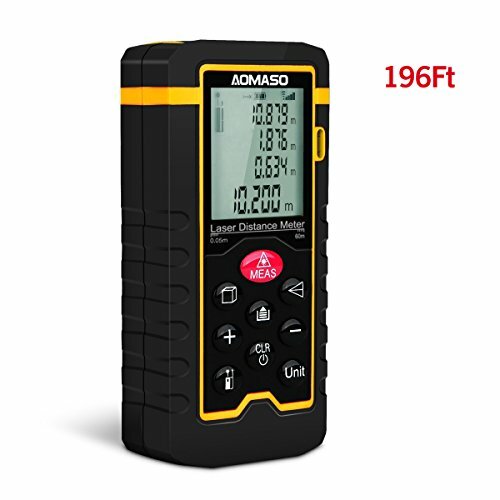 Its 196 feet (60 m) range makes the Aomaso Laser Measure an excellent choice for Architects working on refurbishment of any small or medium size projects. 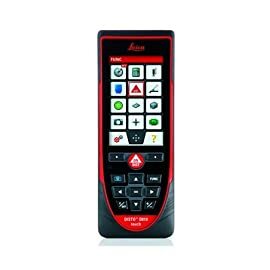 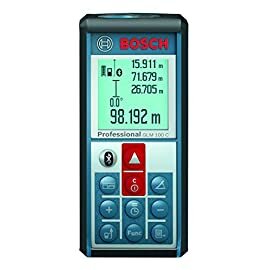 It measures in metres, inches and feet and it has the following measurement modes: Length Measurement, Area Calculation, Volume Calculation, Indirect Measurement (Pythagoras), Permanent distance measurement with minimum and maximum measured values & Addition & subtraction function. 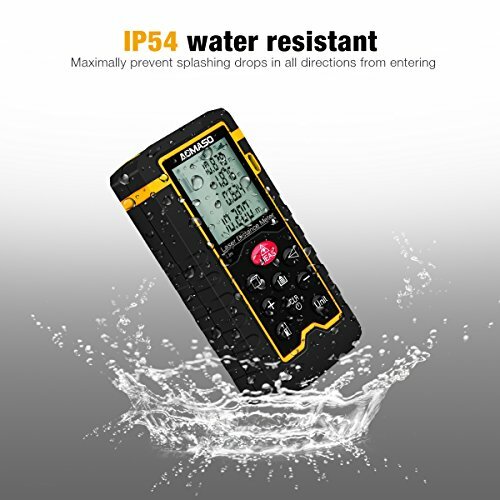 It has an IP54 (splash-proof and dust-proof) protection class, which is the standard for both high-end and low-end products featured on this website. The Aomaso laser measure comes with a one year warranty. As far as size is concerned, it is a very compact model. 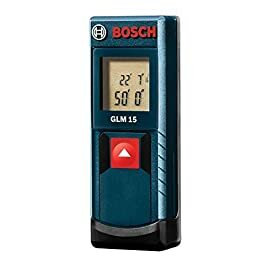 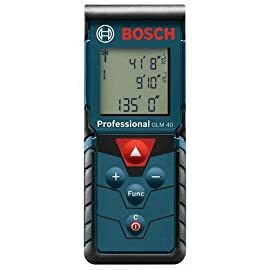 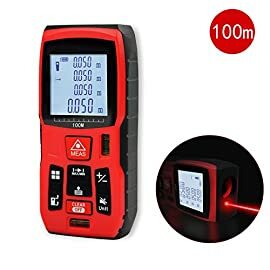 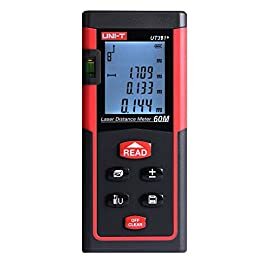 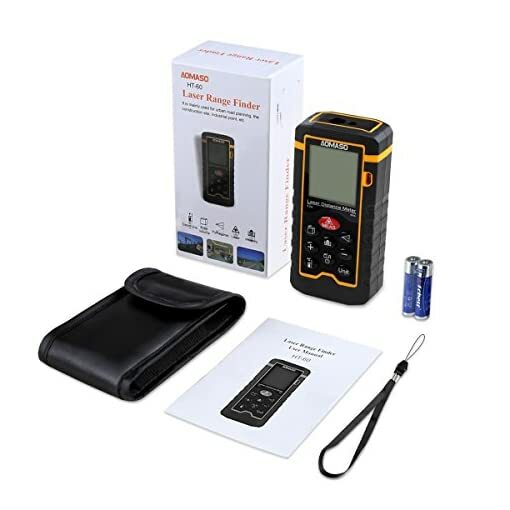 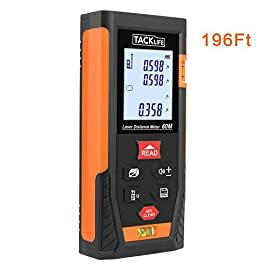 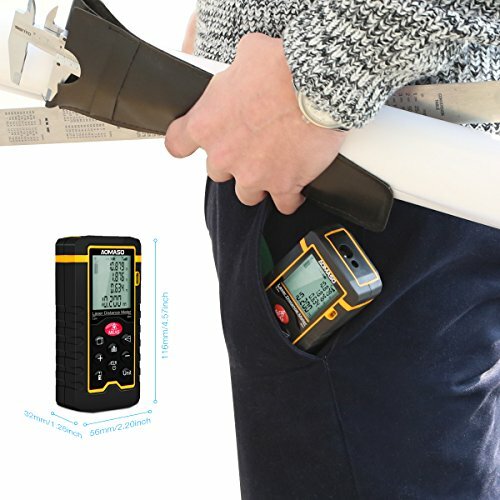 The laser measure weighs only 94 grams, fits conveniently into the included carrying case, ready to go wherever and whenever you are, suitable for large areas such as rooms, apartments, buildings, real estates, factories, warehouses, etc. 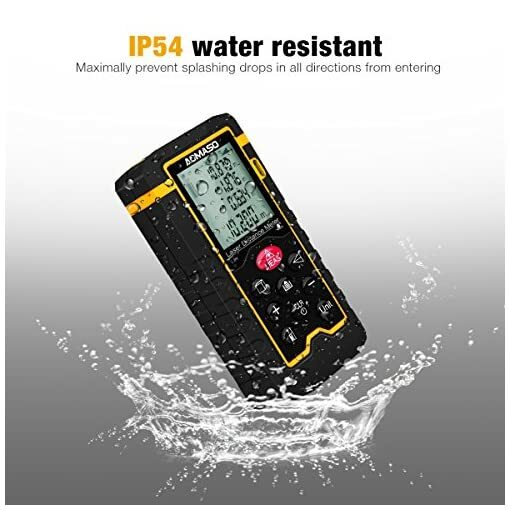 It is a very economical product, ideal for sporadic users. 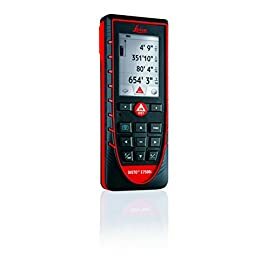 A more frequent user would benefit from more expensive products due to the increase in productivity they bring, but for sporadic users this gadget is a great choice. which will not see a return in a bigger investment due their increased productivity. 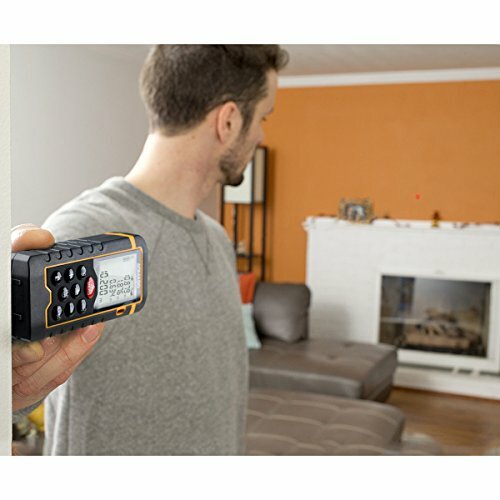 Work only on small or medium size projects. 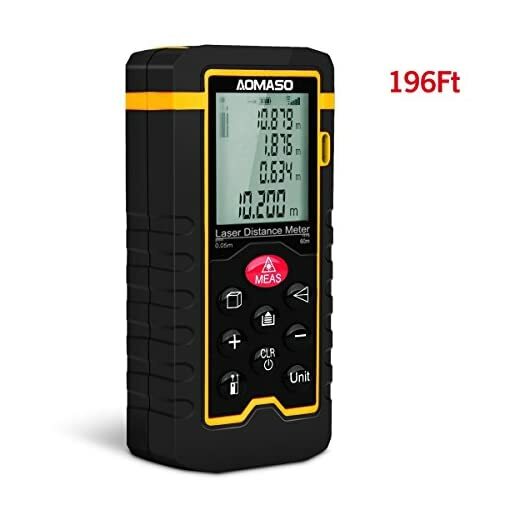 In small to medium size projects due to its range (196 feet (60 meters)). 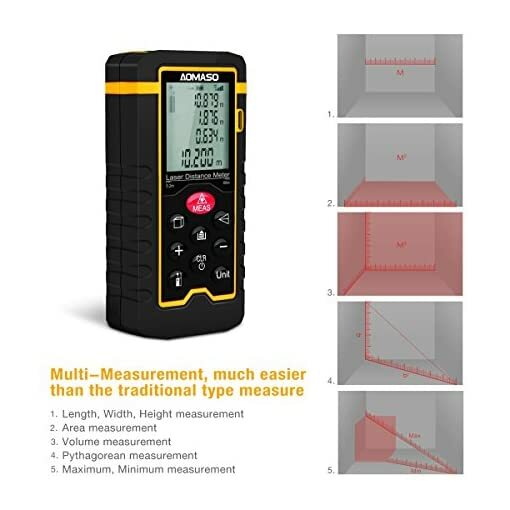 To calculate areas to give a quick estimation of costs. 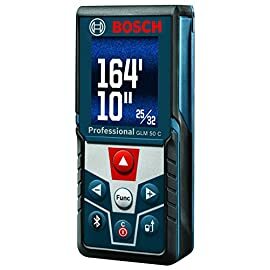 Amazon.com Price: $149.99 (as of 25/04/2019 16:54 PST- Details)	& FREE Shipping.